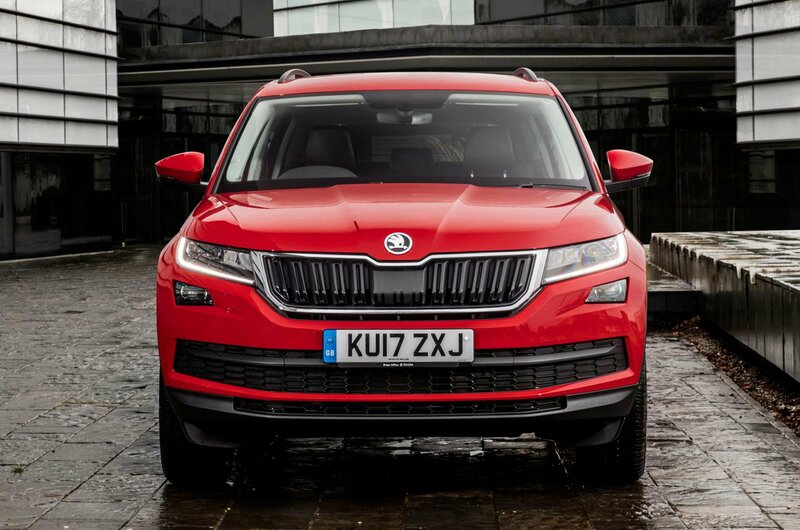 How to spec a Skoda Kodiaq | What Car? The Skoda Kodiaq was, until recently, our favourite large SUV. And even though its crown has now been taken by the excellent Peugeot 5008 at our latest Car of the Year Awards, the Kodiaq's blend of value for money, spacious interior and smooth diesel engines mean it's still one of our favourites in this class. That's no small feat, especially as the Kodiaq finds itself in competition with the Nissan X-Trail, as well as pricier versions of the Hyundai Santa Fe and Kia Sorento. So what makes the Kodiaq a good choice? Well, our full 16-point review can tell you what it's like to drive and live with, as well as which engine to go for. If you can live without seven seats, then SE specification is what we'd recommend. It brings you most of the luxuries you're going to want, including dual-zone climate control, rear parking sensors, automatic lights and wipers, and cruise control. 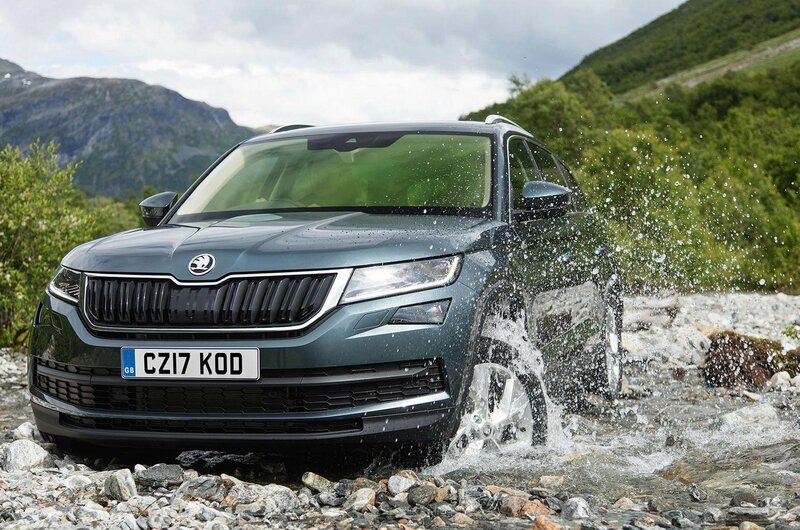 To make your Kodiaq as comfortable and practical as possible, though, we'd still opt for a few choice options – and, over the next few slides, we'll tell you what they are. This is a great time saver that allows the car to be locked, unlocked and started using buttons – so long as the key is on you. 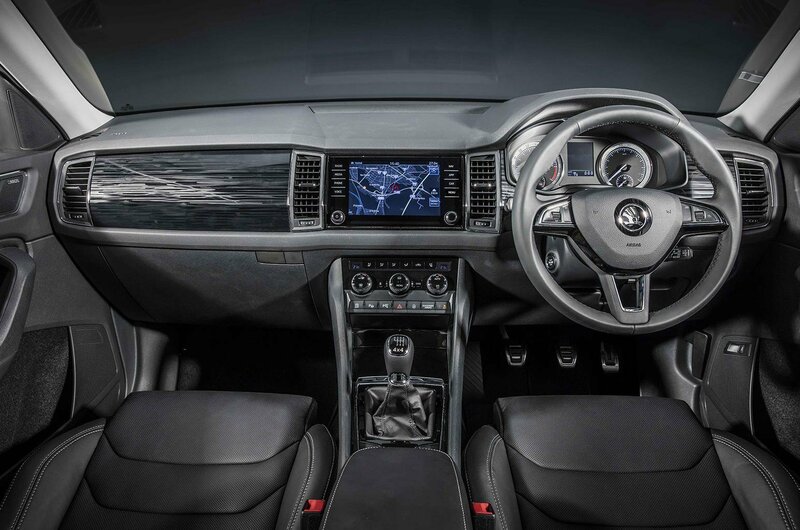 It's a feature that is becoming increasingly common, but doesn't become standard on the Kodiaq until you get to SE L specification and above. 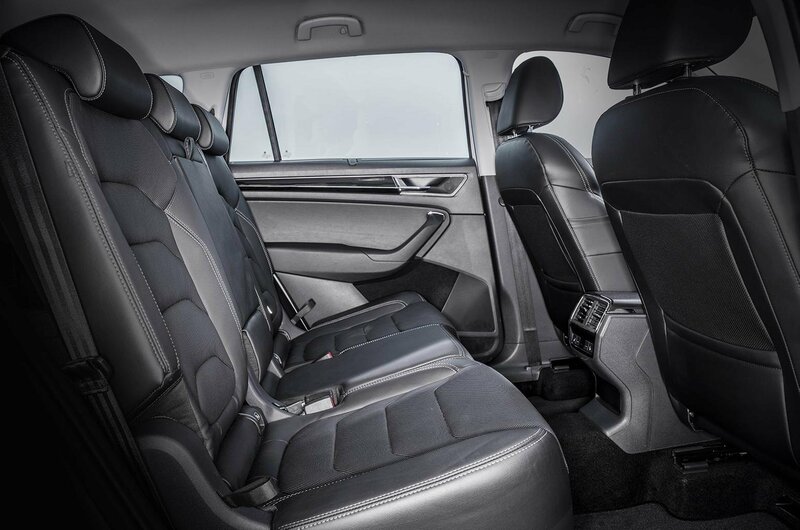 We like the Kodiaq's front seats – they're comfortable and mostly supportive, but unfortunatelty adjustable lumbar support doesn't feature on either S or our recommended SE models. That means you'll have to pay extra for it but, at £130, it's one of the cheapest options on this list. It's well worth going for, because it will make longer journeys that bit more comfortable. 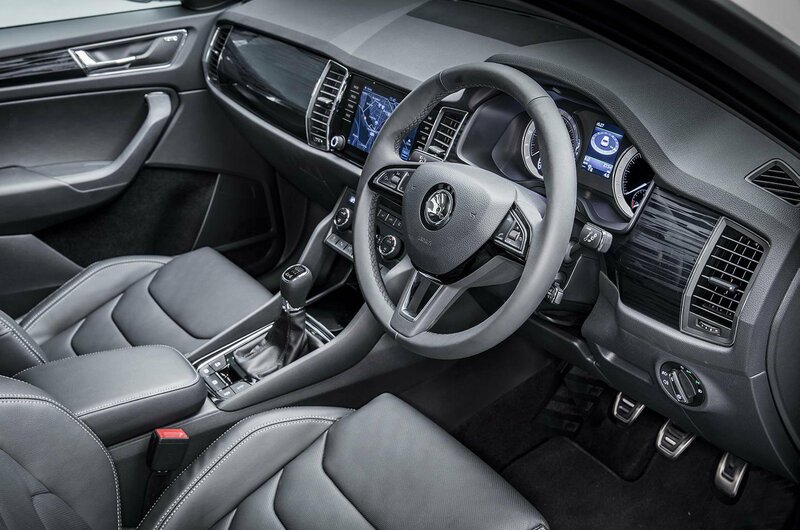 If you want to add even more bling to the Kodiaq's seats, then heated front seats cost an extra £255 on SE models, while ventilated seats can be added to high-end models for £635. Metallic paint can increase the value of your car, meaning you'll get more of your money back when it comes to selling up – plus, at £575, it's an inexpensive upgrade. Skoda gives you seven purely metallic colours to choose from in the Kodiaq and they're all tasteful. There's also pearl effect and even an exclusive red paint that you can opt for but, since the latter will cost you £900 on SE models, we wouldn't bother. 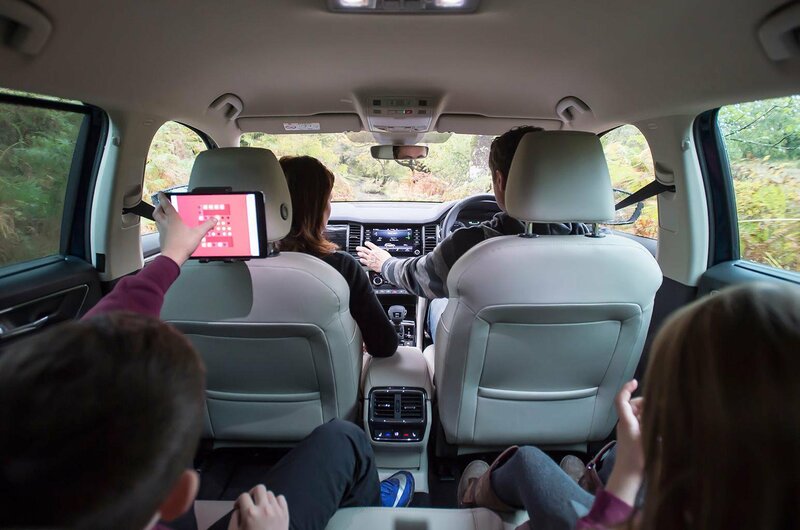 Picture the scene: you're taking the family on a long journey and the kids need to be entertained. 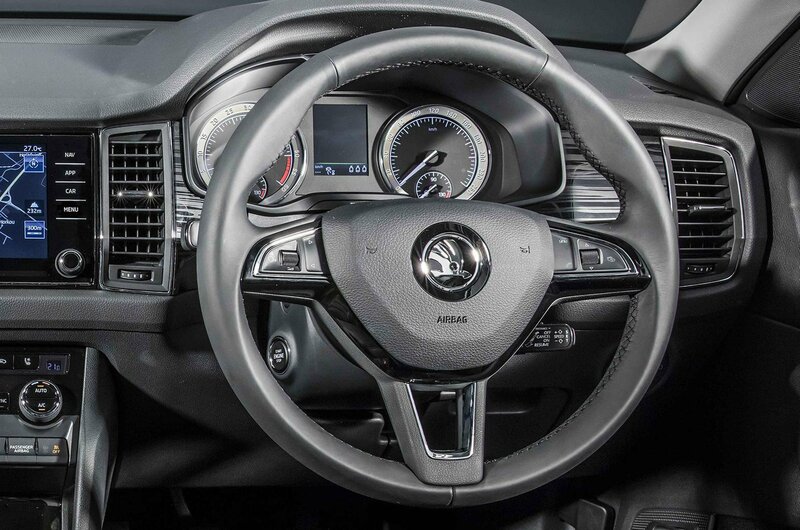 What's needed is a flat surface – that's where the Kodiaq's folding tray tables come in handy. These are located on the seatbacks of the front seats, providing the rear bench with a handy shelf for toys and games or a makeshift picnic table. At £130, they're not expensive, either, but on SE models they do need to be added in combination with the adjustable lumbar support upgrade mentioned already. This is another inexpensive upgrade that's well worth having – especially if you'll be filling the Kodiaq's spacious boot with clutter. This means that to drop the Kodiaq's rear seats, you don't have to clamber around in the second row but, instead, pull handy toggles located just inside the boot. Not that you should need to extend the loading bay much on five-seat versions of the Kodiaq, because the boot is already enormous, as the space and practicality section of our review explains. Now for an option we'd recommend avoiding. While the LED interior light pack lets you choose from 10 colours to enhance the Kodiaq's interior ambience, it's relatively expensive to buy at £205. The pack gets you reading lights in the front and rear of the car. 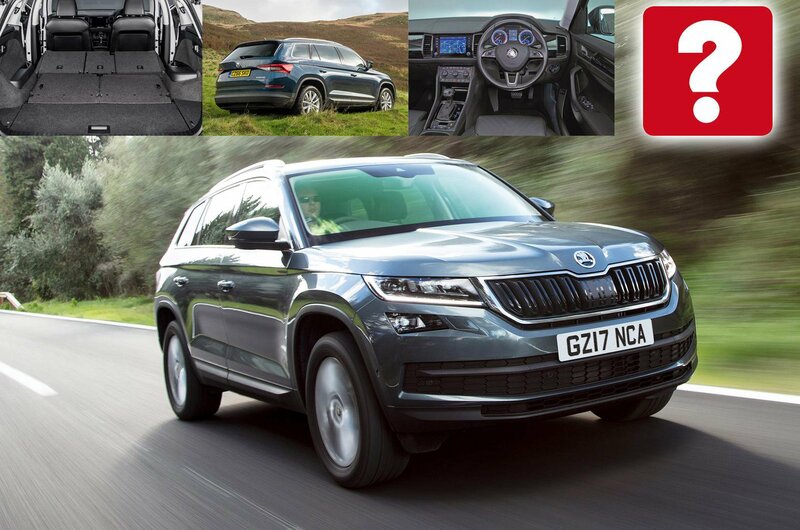 You can buy this version of the Skoda Kodiaq here, or you can see all of our Skoda Kodiaq deals. Fancy a different large SUV? You'll find our full rundown of the best small SUVs to buy right now – and the ones to avoid – right here.